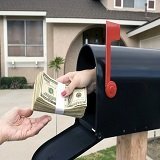 Real Estate Marketing Mailers - More Effective Than Internet Marketing? 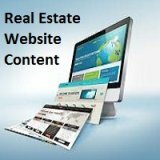 real estate listings, products and services. How can this be? Well, think about it for a second. Basic human nature has not changed, nor have human buying triggers. Having something in hand that can be touched is still as powerful, if not more, than words or images on a computer screen. In spite of the Internet's capability of reaching out to multi-millions of email addresses or viewers in a matter of minutes... a printed circular or flyer in hand still holds more credibility. Also, when you get a printed mailer, circula, flyer or postcard that you can hold in your hand you tend to look at it as something real that is produced by a real person whom you can relate to. You don't generally look at it as some unknown face or entity hiding behind a computer screen trying to scam you. Given this it’s puzzling that so many realtors, agents and related industry professionals seem unaware of, or have forgotten this old proven method of advertising and selling. Printed forms of advertising and direct sale pieces have stood the test of time, and have proven to be successful over and over again against other methods that have come and gone. Here's something else to think about. Most people go online looking for information, not sales offers. So the chance of them running across your online offer is lower. 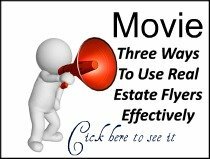 However, when real estate marketing mailers are physically placed in the hands of people, those people will put forth the effort to seek out the source of the offer. And it doesn't matter if it's right up the street from them or online... printed real estate marketing mailers established a certain amount of credibility. With direct sales, you don't have to worry about getting traffic to a web site, search engine optimization, black hat, white hat, or any of the other online techniques you see touted. 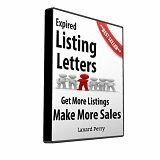 People coming online to your web site after reading your printed direct sales piece are generally interested in taking a serious look at the product or service offered. In your instance this could mean making an appointment to see a listing, to give a listing or consult on other interests. Still, there’s a place for The World Wide Web, or Internet, but it should wisely be used in combination with direct sales as an extension of your advertising and sales efforts... not as your primary medium. You can find more people who are ready to buy through marketing mailers than you can than say people who are simply surfing the internet for information. Printed advertising, and/or mailing direct sales pieces is also much easier to design, implement and sustain than a web site... wouldn't you agree? All you have to do is make people aware of the availability of what you have to offer, the cost, and where they can get it. While strategies may differ from agent to agent a general rule of thumb is when the offer is a piece of property (single family residence, office building, land, etc) then give the address, or at a minimum the general area where the property is located. Most exclusive Internet advertisers will likely see their sales efforts pay off in a much greater way by combining print advertising and direct sales with their online methods. Once printed direct sales pieces establish credibility, a web site would only need to highlight benefits and give access to the offer. Now that you realize the benefits and advantages of real estate marketing mailers do yourself and your business a favor, and make print advertising direct sales an important part of your financial well being.